FREE WIFI is what virtually every decent hotel and holiday resort in Turkey offers but the quality of service varies greatly, for instance some wifi services only work in the reception area and not in any of the rooms. 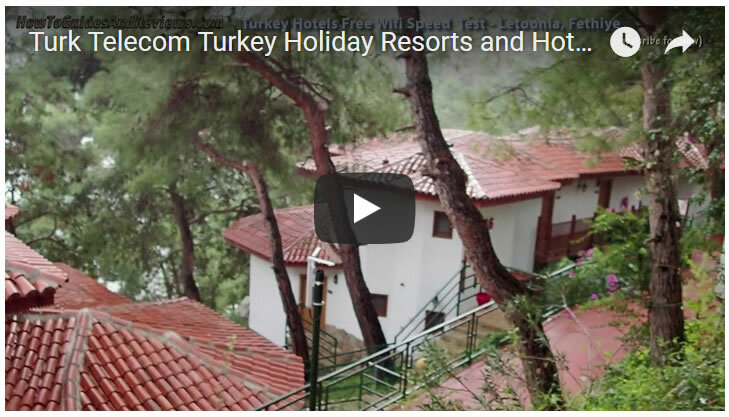 so for those planning a trip to the Dalaman / Fethiye area of Turkey during 2019, this is a test of what to expect in terms of wifi service at a major resort such as Letoonia Club situated about 40 miles south of Dalaman and across the bay from the city of Fethiye. As we check out what broadband signal, download and upload speeds are like so you know if you need to make alternative roaming broadband arrangements before traveling. Ensure to subscribe to the channel for new videos in our holidays 2019 series. Also remember to visit our website for more.